How To Get A Quick Cash Offer on Your Scrap, Junk Cars? The concept already sounds as though it must be more difficult, right? Wrong. At Metro Car Removals, we offer quick cash quotes on your vehicle of any make and model of any age and condition. 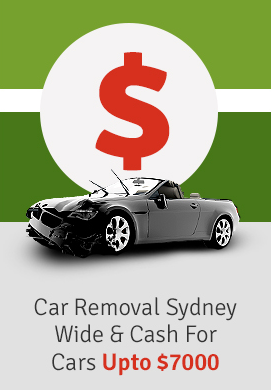 We are the auto buyer in Sydney that offers top cash for cars and come to the vehicle owner to put the cash in their hands. Our quick cash offers system is easy, and the result is always cash for cars. 1. You have a car, truck, 4×4, Van, Ute, Jeep, bus, SUV or motorcycle that you would like to sell. You call us with the details of the vehicle, providing us with the make and model of the vehicle, its age, and condition, any modifications, any issues the vehicle has or had, its odometer reading and its vehicle identification number. With that we’ll make you a quick cash for cars offer on your scrap, used, damaged, wrecked, accident, old, rusted, scrap or unwanted auto. 3. Accept and we then schedule a free car removal anywhere in Perth. Our car removals are quick and convenient as our removal technicians work around the clock to provide our customers with removals at times that are convenient for them. Day or night, weekday, weekend, or holiday, just let us know when you’d like the cash for car in your hand. 4. We arrive to buy and remove your vehicle. Our technicians will do a quick inspection of the vehicle to ensure that it is what you described over the phone or through our “Get a Quote” form located on our page. We’ll then provide the paperwork that makes the deal legal with your signature, ask for the title of ownership or scrap title to the auto, and provide you with our cash for car offer amount. We then load and remove the vehicle and are on our way! At Metro Car Removal, selling your auto is that simple. One call to us, and we guarantee to be your cash buyer. Get it sold today! Give us a call at the number below. We buy ANY MAKE, ANY MODEL, ANY YEAR, ANY CONDITION of a vehicle and pay CASH UP TO $7000.